The big news from Capcom which we all pretty much knew already has been announced. Resident Evil 0, Resident Evil and Resident Evil 4 are coming to Nintendo Switch. All three games will be releasing on the Nintendo Switch eShop come May 21st according to the official Resident Evil Tweet. Are you excited for these three games coming to Switch? 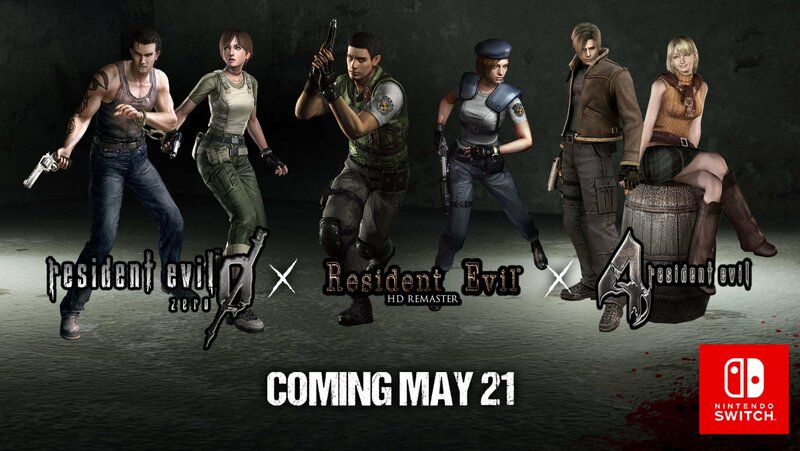 Do you hope that Resident Evil 2 Remastered will be on the cards as well? Let us know your thoughts in the comments.